The ВВС were the first Western media to interview ex-Ukrainian president Yanukovych since his overthrow in February 2014, however they inexplicably left out the most vital answers in their English translation. While keeping the parts about the ostriches, it deems to be important, it left out the key answers about Crimea and genocide in Donbass. Here is what its English speaking readers and viewers will never learn from the story on its English language website. Here is what the former leader had to say on the issue, according to the full version of the interview posted on the BBC's own Russian language website. 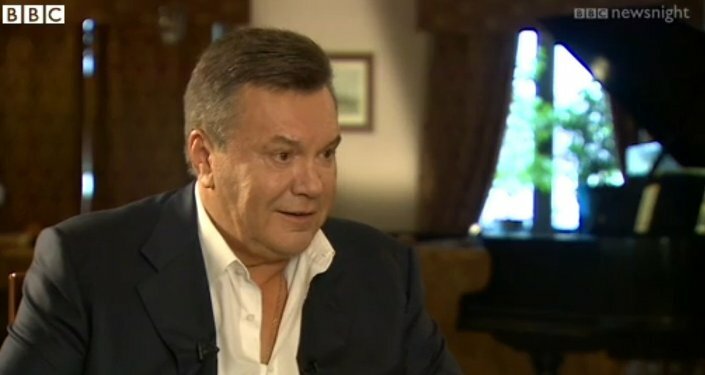 Viktor Yanukovych said that he was in Crimea when he decided to leave the country. At that time he was already ousted and faced two options whether to start bringing together those loyal to him and begin a war or leave the country. While that was a very hard decision, he opted to leave the country. “What is better for the population of Crimea? War or Peace?” he questioned. “We knew only too well what the mood was in the southeast of Ukraine. We understood perfectly well what the mood was in Crimea. The question of exit [from Ukraine] was not on the agenda when I was the president, there was no talk of separatism,” he said. Asked about what he thinks is going on in his native region of Donbass, the ex-president said that it pains him to watch the unfolding events, and can do so only in short bursts. However infrequently he watches what is being shown on the situation in the region, his heart always sores as he is always looking at the familiar faces, familiar homes and familiar cities. “What is going on now in Donbass is a genocide. Genocide of the population of Donbass. And it is being committed by those who brought in tanks and guns to shoot at the peaceful civilians,” he said. Like any other ordinary man, the ex-president wants to return to his motherland. And sincerely does not understand why he had been deprived of the one.